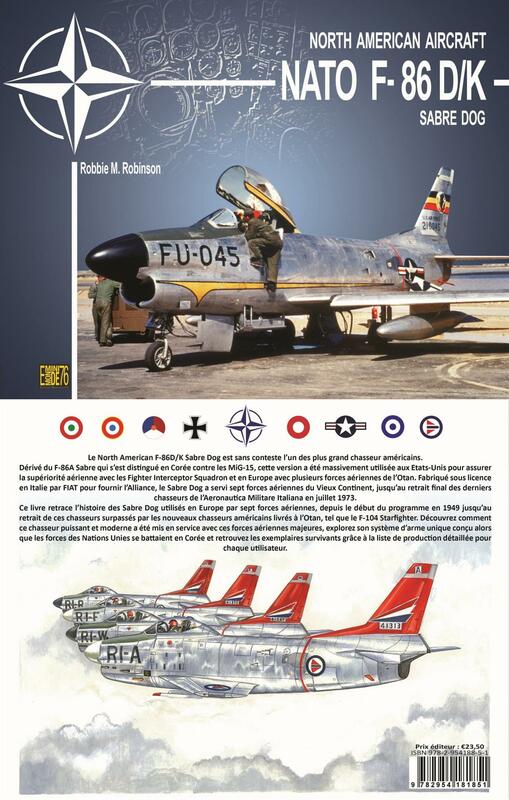 The North American F-86D/K Sabre Dog was undoubtedly one of America’s greatest fighters. 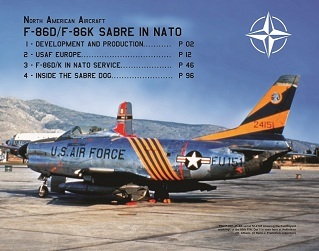 Derived from its earlier sibling F-86A Sabre who starred in Korea against MiG-15s, this variant experienced extensive operations in the USA, protecting the skies with the many Fighter Interceptor Squadrons in charge of continental air sovereingty, and in Europe with many NATO air forces. Also built under licence by Italy’s Fiat to supply NATO countries, the Sabre Dog served in seven air arms troughout the Old Continent until its final withdrawal from the Aeronautica Militare Italiana in July 1973. 120 color pages,123 photos from official and personnal archives, 43 color artworks, unit badges- landscape format 235 x 185 mm.